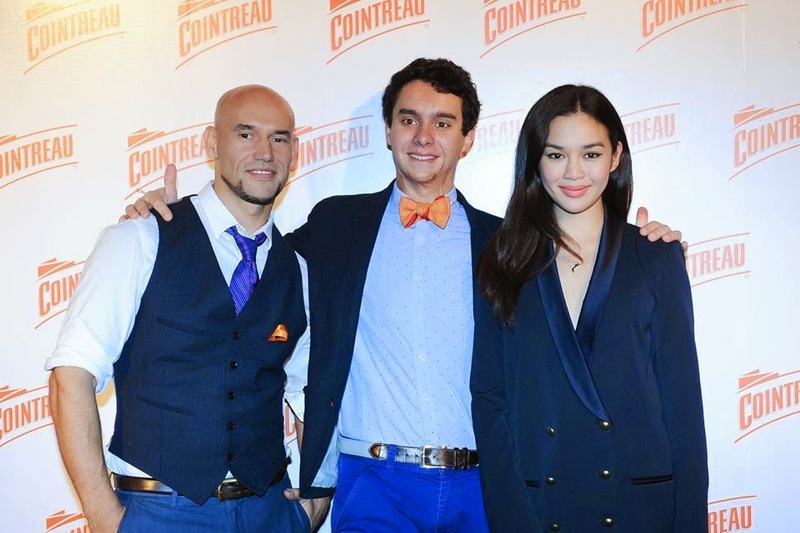 I was thrilled to host La Maison Cointreau's Regional Finals in Bangkok this year as Cointreau Singapore's e-reporter, for an exclusive championship event where 8 finalists from around the region came together to compete for the top title. Here is an interview with Duang Wannaporn Poshyanonda, the Editor-in-chief of Harper's BAZAAR Thailand and the Creative Director of Rouge Rouge. The fashionista/entrepreneur was one of the three main judges of La Maison Cointreau Regional Championship 2015. Victoria: You’ve achieved a lot from working with a leading fashion magazine, Harper’s Bazaar Thailand, and you’re an entrepreneur, with your own line of handbags, RougeRouge. Between these two highly demanding roles, how do you juggle all these projects? Duang: I am lucky to have my best friend as my business partner for RougeRouge, my handbag line, and she is also my brand manager to help me take care of the business. I also have my office in my house, so I have the time to take care of the leather while we connect through emails, social media, and LINE, which are great as they help me work much easier. Victoria: What’s next? I mean you’ve already accomplished so many things that people can only begin to hope to achieve in a lifetime. What do you dream to do next? Duang: I would like to work on more charity projects. I am starting to work with the Thai National Cancer Foundation, to help raise funds for cancer research. I am also hoping to be able to do more to help with raising funds for the poor, especially in the North or in the poorer provinces in Thailand. Victoria: You also have a huge influence in the fashion world and you’re a role model for a lot of women in Thailand. How does it feel to have this much influence? Duang: First of all, I want to thank you for thinking of me this way, but for me it feels natural, I don’t feel like it’s too much of work. I feel that fashion is fun, and I don’t find it a chore to be a fashionista. I feel that with style, there is no right or wrong. You have to be comfortable, you have to be confident with what you’re wearing. Victoria: Who or what keeps you inspired? Duang: I always find inspiration from art and music. My husband and his friends are musicians, and a lot of my friends are artists, and I’ve been doing a lot of projects with Thai artists in Bangkok to help promote their work through Harper’s BAZAAR. For style icons, I like the musician couple Serge Gainsbourg and Jane Birkin, and Francoise Hardy. Victoria: For women who would like to go down this creative path, what advice would you give them? Duang: I think inspiration is all around us. You should open your mind, read a lot of books, visit art exhibitions. When you see a picture and you feel like you have to study it a long time, longer than normal, that kind of art would be your style, your taste and what inspires you. For me, I get inspiration through music, conversation, friends and people that I meet. Victoria: Did any of the drinks from the competition today particularly stand out to you? Duang: Today I really liked one cocktail, which was made with strawberries and champagne. 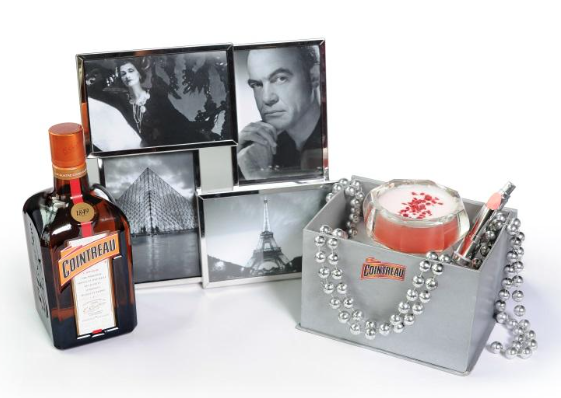 He made the dried strawberries by himself, and he mixed it with Cointreau of course, and he made a lipstick from scratch. He’s from Singapore (Mike Cheong, Woo Bar), and the lipstick was like, strawberry milk chocolate. He was very creative; he asked me to apply the lipstick on my lips, and then taste it together with strawberry champagne mixed with Cointreau. It was an interesting presentation, and had a nice aroma. Victoria: If you could describe your personality like a drink or a cocktail, what would it be? Duang: My favourite cocktail is actually Aperol Spritz. 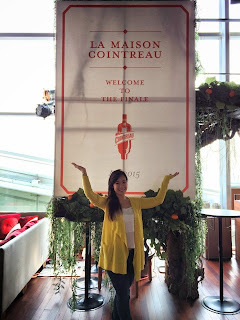 I love something refreshing and I love sparkling champagne, and I love orange liqueur. Aperol Spritz comes from Italy, it’s refreshing and made with Aperol mixed with soda and topped with prosecco, and a little bit of orange. At home I really liking mixing my own cocktails, and I always buy Cointreau, to tell you the truth, because it’s easy to mix with juices. I love to mix Cointreau with pomegranate juice and rose apple, and sometimes I like to put pomegranate seeds in it too.